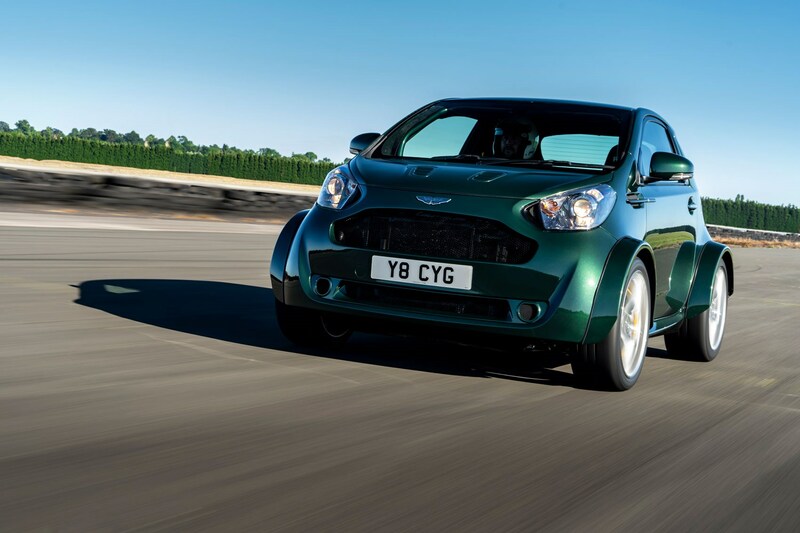 The Aston Martin Cygnet seems light years away from the company that just unveiled the DBS Superleggera, but it’s back at the 2018 Goodwood Festival of Speed. Only it’s been tweaked a little bit - and now has the 430bhp V8 engine from the previous-generation Vantage S.
Aston calls it the ‘Ultimate City Car’. The one-off V8-Cygnet was created by the brand's ‘Q’ branch for a customer commission. 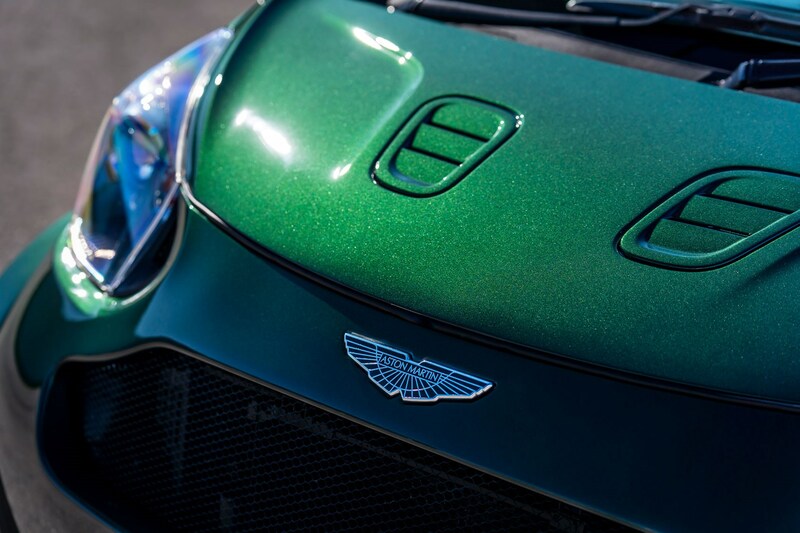 Aston Martin says the ‘Q’ department exists to allow customers to fully express themselves – though what the owner of this car wants to convey might be beyond cognition. The V8 Cygnet looks relatively untouched from the front – apart from a mesh grille, and those new wheel arches which we’ll get to later – but it hides a very different powerplant under its bonnet. 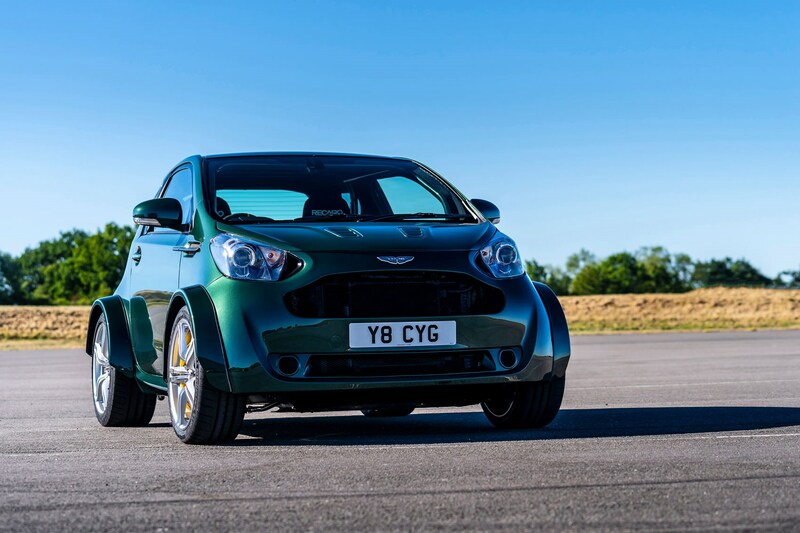 Instead of the 1.3-litre motor inherited from the Toyota iQ on which its based, this Cygnet gets the 4.7-litre, 430bhp V8 engine from the Vantage S. It’s capable of 430bhp and 361lb ft, and will hit 60mph from a standstill just 4.2 seconds – faster than the Vantage S. And with a top speed of 170mph the V8 Cygnet is over 60mph faster than the standard supermini. 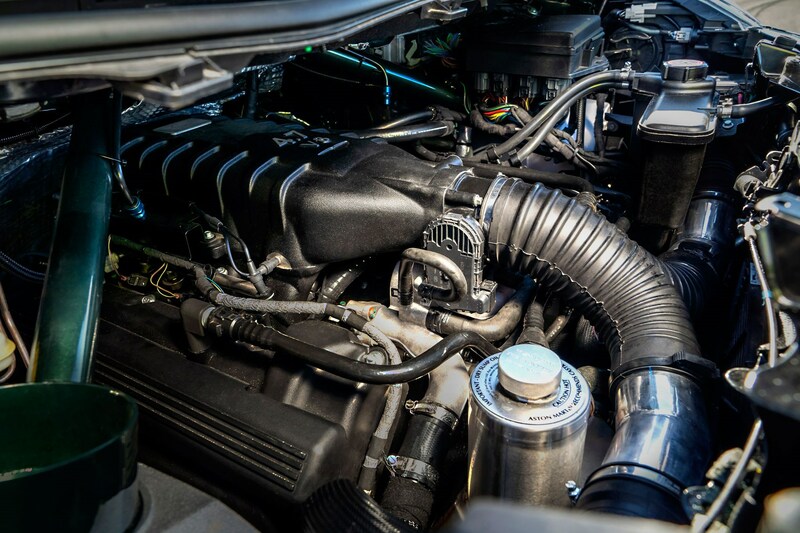 It breathes out of a new twin-exhaust system with twin underfloor mufflers and ‘cats, and the relatively compact layout means none of the V8’s roar will be lost on the way: This car promises to sound as distinctive as it looks. Every other alteration in the car has essentially been added to help cope with the Cygnet’s 430bhp. 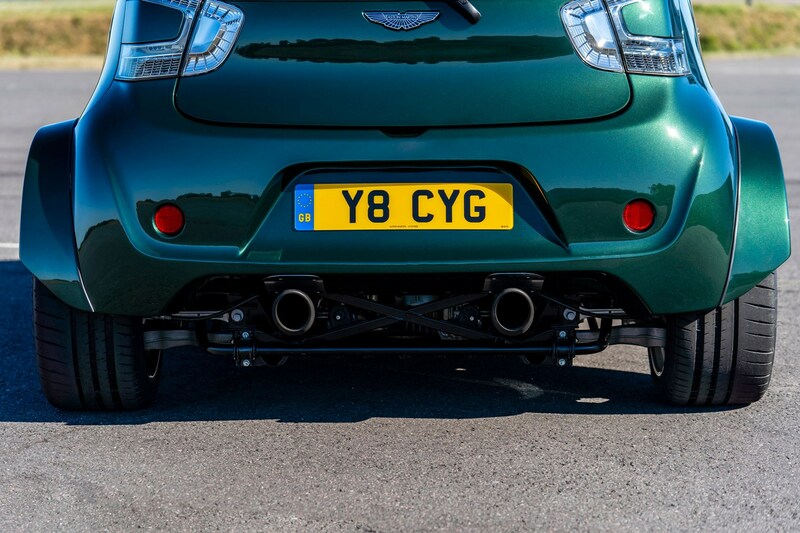 The V8 Cygnet has a rollcage, new front bulkhead and transmission tunnel, while the subframe and suspension system were also pulled out from the Vantage S donor car. That’s the old Vantage, not the new one. 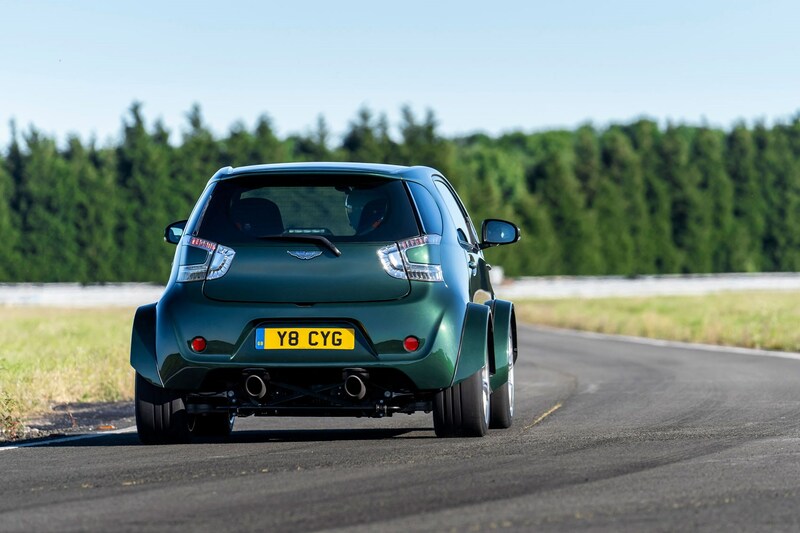 A large steel fuel tank is now stowed in the boot of the Cygnet, while a race-ready extinguisher system and racing harnesses make it ultimately developed the the track. 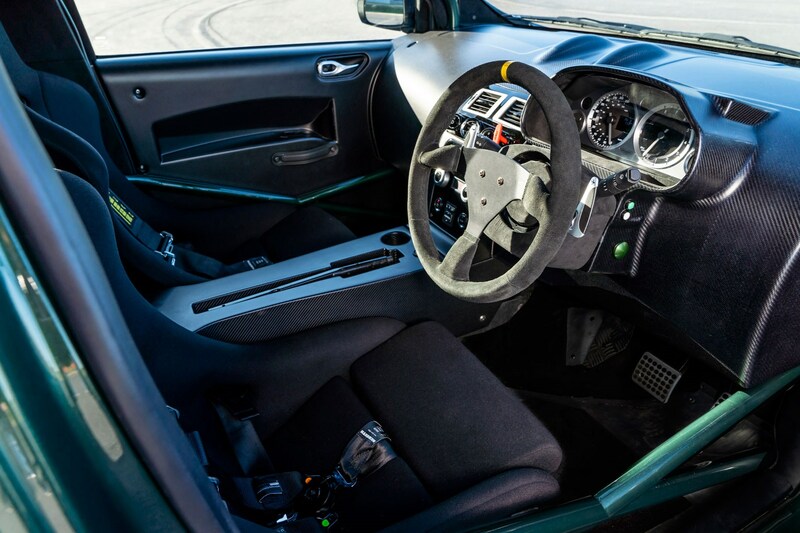 There isn’t much of an interior to speak of; most of the car has been ripped out to drill weight to 1375kg, and what has been added, is carbon fibre. Flared wheel arches represent the V8 Cygnet’s most obvious augmentation, added on in carbon fibre to accommodate the car’s widened track. The wheels in those arches have grown in stature too, now measuring 19-inches in diameter over the standard 16.